* For the complete Wheaton Whaley collection (and FREE SHIPPING) please visit our website: www.wheatonwhaleydesigns.com. Please note, not all items are available on Etsy. 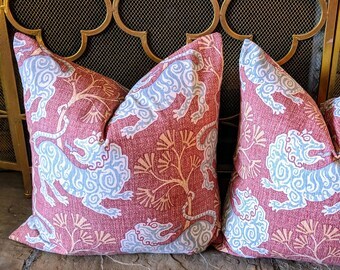 ° One decorative pillow cover featuring a ikat design on home decor weight. For a custom made look, the same fabric is used on both sides. Placement of the pattern may vary from front to back & from pillow. This listing does NOT include piping on the covers. ° Each cover features a signature magenta zipper closure. ° Insert not included on this listing. ° Be sure to read page information before placing your order if you have any questions. All covers are made to fit standard size pillow forms. Example, my 20x20 covers will measure about 19x19 so that the cover has a more snug fit. This is a standard for pillow covers. So, keep in mind, if the listing states it is a 20x20 cover, the finished product will actually measure about 19x19. ~~~ Already have an insert you are buying a cover for? Since most pillows are fluffy, try to get the pillow itself as thin as possible. 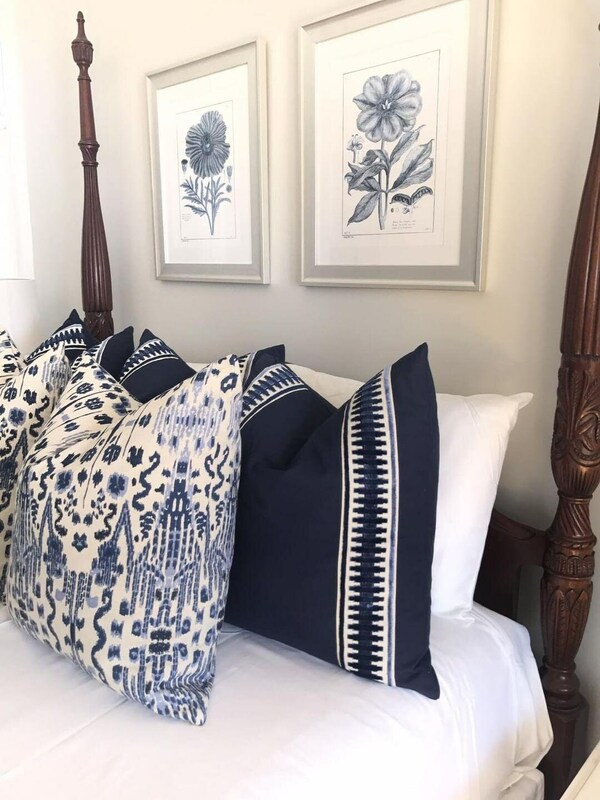 Measure from right to left and then do the next side, just to make sure your pillow is square (some might appear square but are actually more rectangle). *** If your pillow is smaller than 15inches, please convo me & let's set up a custom listing for you to ensure a great fitting cover. 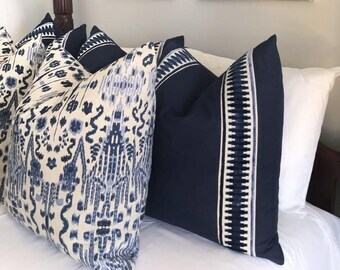 Love the pillow covers - they look so chic! Beautiful pillows, but very disappointed in the timeframe that I received these and the communication. I had reached out because I 6 weeks had passed and I received no update about my order. The shop owner claimed they were shipped that day, but provided no tracking and I received no updates from etsy that they were shipped. When I contacted her again, she said that she'd provide a tracking number, never heard back. I cancelled the order and she did immediately refund me, but gave me different reasons to not have received them. In the end I was able to order them from her website cheaper and they did arrive fast with no issues. I never received this item. I accept both PayPal and credit cards. I am a small business, so cancellations are not accepted at any time following purchase. If you feel you have purchased something in the wrong size, fabric, etc, I will be happy to modify the order. If you are purchasing a custom item (monogram/custom fabric), no modifications are allowed. Please be careful when you order. 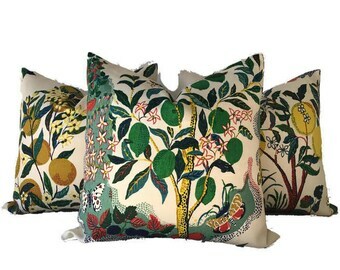 Since I provide the opportunity to purchase a swatch of fabric prior to purchasing a pillow cover, I will not accept returns based on color, texture, print size. Ultimately, your satisfaction is my main goal. Please convo me with any issues you might have & I will do my very best to resolve them as quickly as possible. Since there are several chances to confirm your shipping address before finalizing your purchase, I will only ship to the address that is provided. Each item will be shipped via USPS and will include tracking & delivery confirmation. If you would like rush shipping, please let me know PRIOR to checkout. I do accept custom orders. Please convo with questions! I can make sizes that aren't listed; just send me a message & we can set up a custom listing for you.